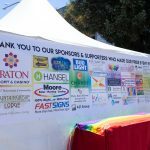 The Sonoma County LGBTQI Timeline was created for and displayed at the Sonoma County Pride celebration this past June. Always a work in progress, it represents a start at recording our multi-faceted history. LGBTQI People have been drawn to this county and the freedom created here. Explore community building, cultural and social change. How can out history inform our future? 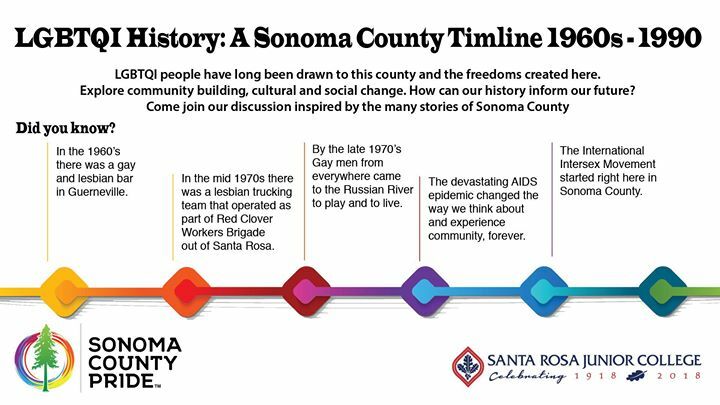 Come join our discussion inspired by the many stories of Sonoma County. SRJC offers noncredit courses for seniors as part of its goal to provide lifelong learning. – You may sign up for a class by going directly to the location and the instructor will give you an application and assist with registration. Or Sign up online at older-adults.santarosa.edu, schedule of classes. -No age limit for Older Adults Program courses, through they are tailored for seniors. -Students may register at any time during the semester.